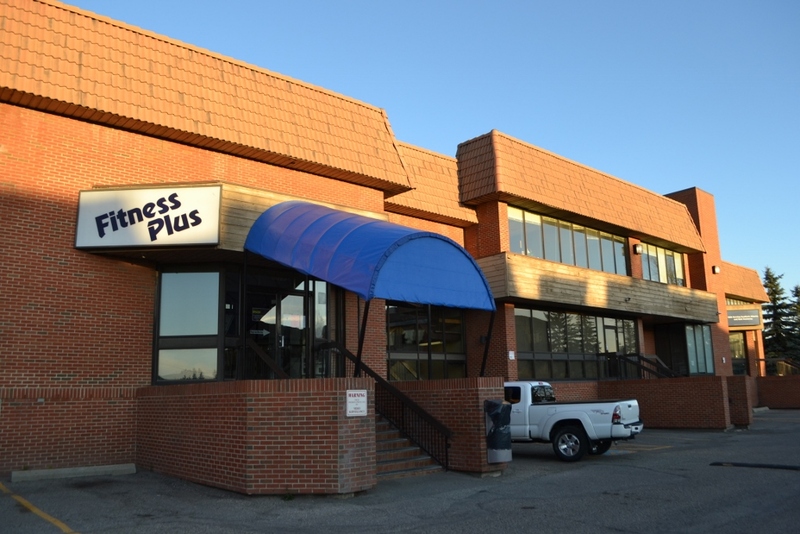 Today a gym (Fitness Plus) in the community of Mayland Heights has an auction selling all of its exercise equipment located there. According to the sign on the door, they closed this location on October 5 due to their inability to “maintain the financial viability of (its) north location”. Why is this arts related news, you may ask? However, what is news and relevant, is that the new occupant of the space will be Evergreen Theatre which I believe is currently located on the former CFB Calgary base. I know from the news that area will be undergoing redevelopment in the near future. 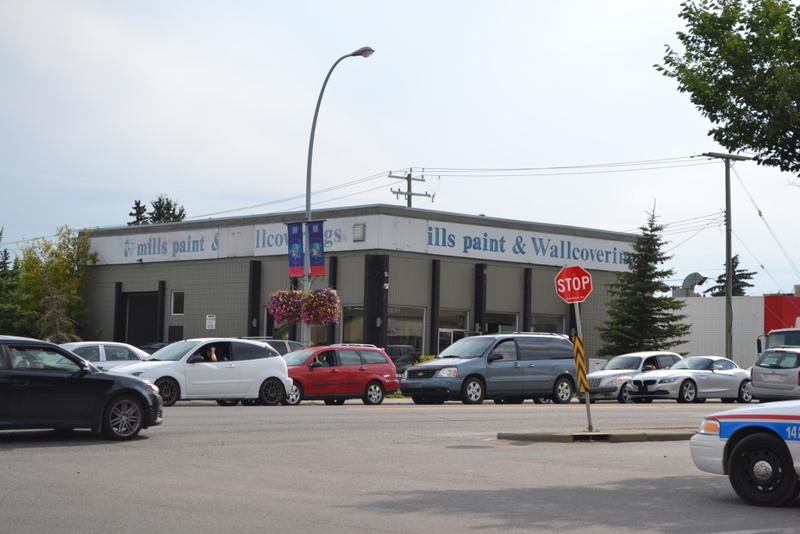 Some time ago, probably around the time that ArtBOX on 17E opened in the summer of 2013 and potentially in conjunction with a discussion of public art as well, I mentioned the fact of the paucity of dedicated art spaces located east of Deerfoot Trail. I find this a rather fascinating observation. Here is why. In the 2014 City Census , as seen here, it shows that 1,195,194 residents of all ages who live in the City boundaries. It also shows that there are currently 14 electoral wards for the office of Councillor officially representing those approximately 1.2 million people. In those 14 wards, it would appear as if five wards are largely located east of Deerfoot (wards 3, 5, 9, 10 and 12). I can already hear it. I know what is going to happen is that someone will take exception to my choices of wards (especially with regards to ward 9). I am okay with that, because I see from the map on page 28 of the link provided above that there is no indication of major thoroughfares on it and where population actually resides. Ward 9 goes to the eastern city limits, but I also know that the Councillor is also considered to represent the inner-city by some. It is a moot point. I have probably erred somewhat. As a result I had to guess based on an approximate speculation of where Deerfoot is located on this map. If I use the wards indicated above (3, 5, 9, 10 and 12) and add up the population in those wards as indicated on the map located on page 28, I see that approximately 442,479 people reside east of Deerfoot. That represents 37.02% of all residents of the city. This is a significant amount of people, no matter how you cut it. From the following link we can see that a similar percentage of the popular vote (39.6%) was all that was required to bring the federal Conservative Party of Canada to a majority government in the last election in May 2011. Given that this geographical area represents nearly 40% of the City population – why is it that this area has been so severely misrepresented with art spaces, for so long? Regardless of whether you the reader, like my choice of electoral ward selection, it is nevertheless a valid question to ask. I need to also state in all fairness, that Calgary Arts Development is aware of this deficit and has started to take steps to introduce cultural equity into places where none currently exist. One of those attempts is the ArtBOX on 17E project that is a limited time project in partnership with the International Avenue BRZ. So at least there are some attempts being made to try and rectify this oversight. Yet another cultural space is the long-overdue, but recently announced Calgary Film Studio that had the sod-turning yesterday (October 31) that will be located in the Great Plains Industrial area. 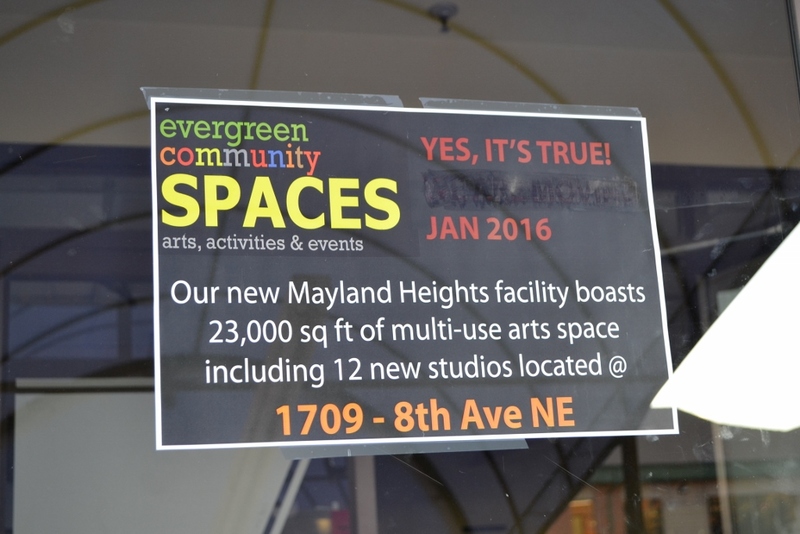 From what I understand the new Evergreen Theatre space will open in early 2016. I also understand that some of their space will be available to be sublet or for special events. This should help alleviate somewhat the demand for cultural space east of the Deerfoot (even if it is within view of, and a short walk away from Deerfoot Trail). Having this space here makes me happy. Bear with me as indulge myself on this circuitous detour to explain why. I will attempt to be short and unfortunately it might be even sickly sweet. It is possible that the dry heaves may occur. At the risk of dating myself and because it is my blog I can do things like this. I once had a junior high school crush on a girl. 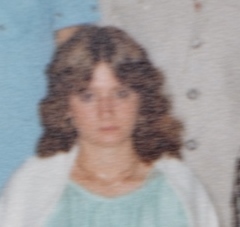 I know, I know, I am sure that I am probably the only one that ever had something like that happen to them during junior high when the hormones were rushing. This is the only picture I have of her which was taken from a larger group photo as you can see from the buttons on the person standing behind her. She used to live on the street directly above this new art space. Around the same time, I also remember riding an inner tube with friends (who knows, maybe she joined us, stranger things have happened) down the hill behind this space and probably right through the middle of the space that Evergreen will soon occupy. I am sure that I did this at least a couple times when it was covered with snow. I have always wondered whatever happened to her as I don’t recall hearing anything about her after the time that this photo above was originally taken. I guess it will always remain one of those great mysteries in life. Visiting the space when I took these photos brought back these remote and distant memories that I rarely think about anymore. It made me happy for that reason. Fond memories as I travel down that dusty nostalgic lane. I wish those involved at the Evergreen Theatre much success in their new location. Calgary’s Fast Forward often has some interesting stories in its weekly edition – especially as it relates to the arts. I picked up the very thin newspaper today and brought it home. A small booklet fell out of the centre of the newspaper. I did a quick glance at the title Shop Local Guide 2013 and quickly tossed it into my recycling bin. 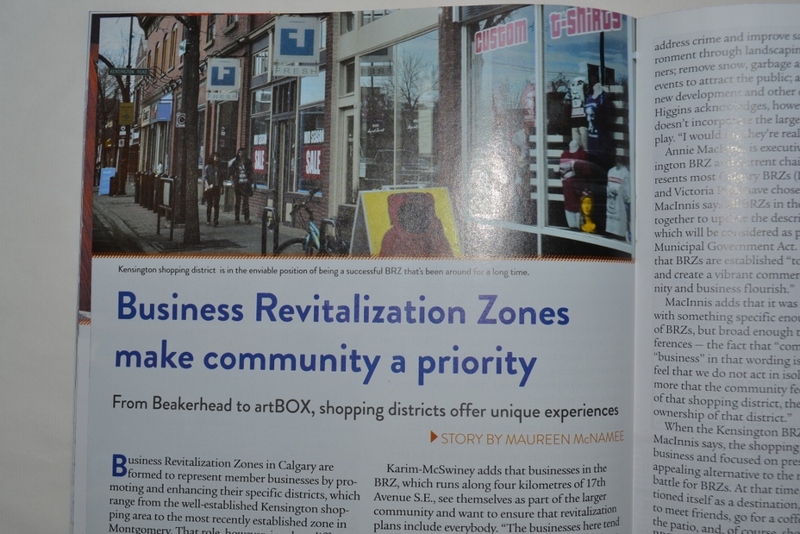 Then after a couple minutes I thought to myself, “maybe I should look at the table of contents before I toss it for good.” Sure enough there is a four-page story on Business Revitalization Zones (BRZs) in Calgary – there are ten of them. I used to pay dues to a BRZ when I had my own business and have some business history with another one and a past client relationship with yet another. Annie MacInnis is executive director of the Kensington BRZ and current chair of CBIZ, which represents most Calgary BRZs (International Avenue and Victoria Park have chosen not to be members). Also not explained is the acronym CBIZ. I guess they were not expecting someone to care. So I did some research. I love research, and found out it stands for Calgary’s Business Revitalization Zones and when I checked earlier tonight their website is temporarily down. This is a rather interesting piece of what at first glance would seem like an unremarkable snippet of information. This is especially so from a blog perspective which talks about the arts; and from the perspective of a writer who has a lot of knowledge in this area. About a year ago just before Christmas, Market Collective had to vacate a space located in the Kensington BRZ district and found a temporary location shortly thereafter within the International Avenue BRZ district. As a casual and non-participatory observer, let’s just say this was somewhat of a fiasco in the press as I recall. I have no idea who was fault or even if anyone was; what the circumstances surrounding the move were; etc. – and it doesn’t matter. It is all water under the bridge now. Within the week before the flood this past June, Victoria Park BRZ partnered up with Sled Island, which is kind-of-a-big-deal. In conjunction with Sled Island’s arts festival which occupied spaces in the BRZ, the BRZ planned to do a MarketWalk (except the flood happened instead) and had to get re-scheduled. In August(?) the Victoria Park BRZ MarketWalk was rescheduled and held in conjunction with the annual PARKSale (which is something like Market Collective, except outdoors) which was held in the Haultain Park. In August, International Avenue BRZ partnered up with Calgary Arts Development Authority to convert an empty warehouse into an arts space. There have been a number of events held as a result including a theatre performance during Beakerhead, recitals, exhibitions and much more. It is going to be an exciting project when it is fully operational as it is still in the early stages of development. In September, Beakerhead had the rocket ship located within the Victoria Park BRZ district, which I wrote about earlier. The monthly artwalk held on First Thursdays during the two or three months of summer which is ironic since First Thursday was cancelled about a year ago and the Cultural District has been a virtually non-existent entity for a few years now. I would like to think that because of the density of people during the work day and the nature of these type of events they would happen in the centre of the city regardless of whether the BRZ is involved or not. I also could go to great length about the connection between creative industry(ies), business and community. There actually are a whole bunch of things that can be discussed in this context – things such as quality of life; livable cities; energizing street activity at non-peak hours; encouraging partnerships and relationship building; gentrification; arts as an agent of change; innovation; managing chaos and flux in changing times; creativity in organizations and planning; etc. It just goes on and on. . . there are so many benefits to encouraging the arts in modern society. So I am now really curious why the two BRZs that seem most focused on doing this (encouraging the arts) in the last short while, are not part of this larger consortium of BRZs. All BRZs it would seem are working toward the same goal in different geographical areas. What is the deal there? I am sure there are other questions too, but I will leave it at that. If one looks at a map of Calgary which is populated with cultural amenities marked on it, one fact will be readily noticeable. There are significantly less spaces for the arts on the east side of Deerfoot Trail, as compared to the rest of the city. Of course this information can get blurred somewhat if one uses a broader definition of the word cultural to incorporate things outside of the arts. This past week there has been a fair number of stories in the press about Forest Lawn. As long as I have lived in Calgary, I have noticed it is a community that has a strong sense of pride, but it also deals with some challenges as well. It is a blue-collar community with all the strengths normally connected to that type of neighbourhood – hard-working, stand-up, straight-forward, no BS, tell it like it is community. Although I have never lived there, I must admit there is a lot to be said for these qualities which can sometimes be referred to as grittiness. Author Candace Bushnell once commented about the gritty roots of New York City this way, “the city was different back then—poor and crumbling—kept alive only by the gritty determination and steely cynicism of its occupants. But underneath the dirt was the apple-cheeked optimism of possibility.” This could also be applied to our city if one looks back with a long enough vantage point. Two community organizations that are trying to change this disparity in cultural amenities on the east side of Deerfoot, combined with their “apple-cheeked optimism of possibilit(ies)”, are the International Avenue BRZ along with the International Avenue Arts Centre. If one travels down 17th Avenue it is possible to see the various murals championing the cultural heritage of the community. Also the BRZ came to the rescue of Market Collective not long ago helping them find a temporary space in the community with short-notice. This past August 1st the International Avenue BRZ and the Calgary Arts Development Authority (CADA) together, hosted an open house to unveil a new arts facility. It is called Art Box on 17E. I attended this opening and was happy to see the newly appointed President & CEO of CADA, Patti Pon make her first official appearance there on the same day she stepped into her new role. Like the Seafood Market in East Village a few years back, this space is a short-term space available for a year and a half. Some of the ideas that are currently achieving traction in cultural thinking are the do-it-yourself (DIY) movement; the use of pop-up spaces; and creative placemaking as an agent of change in urban planning (see http://www.83degreesmedia.com/features/place073013.aspx). 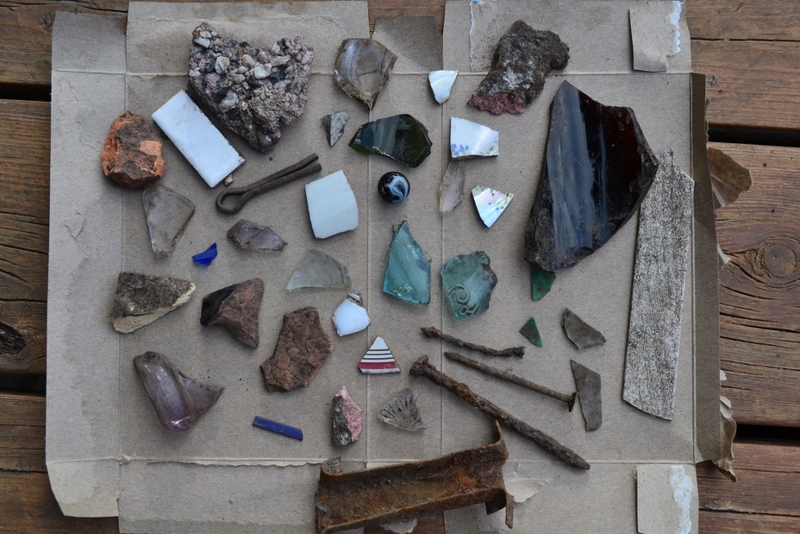 All of these ideas are present in the Art Box on 17E project. As the facility is still in its early stages, it will be interesting to see how this facility evolves and what type of projects take advantage of the space made available. At the unveiling an announcement was made that in cooperation with Swallow-a-Bicycle Theatre, there will be multiple performances of I-Robot Theatre in that space during the Beakerhead Festival which occurs middle of September 2013. The space, with its high ceilings and large footprint, lends itself to theatre, dance and rehearsals. In addition there are smaller spaces upstairs which could be used for various purposes such as studios, offices and the like. It is always interesting to see these projects develop and change in response to demand and interest. I wish them well and am interested to follow what will happen there. Knowing some of those involved, I am sure something interesting will come from it.